Nannaku Prematho an Ultra Stylish Movie From NTR. 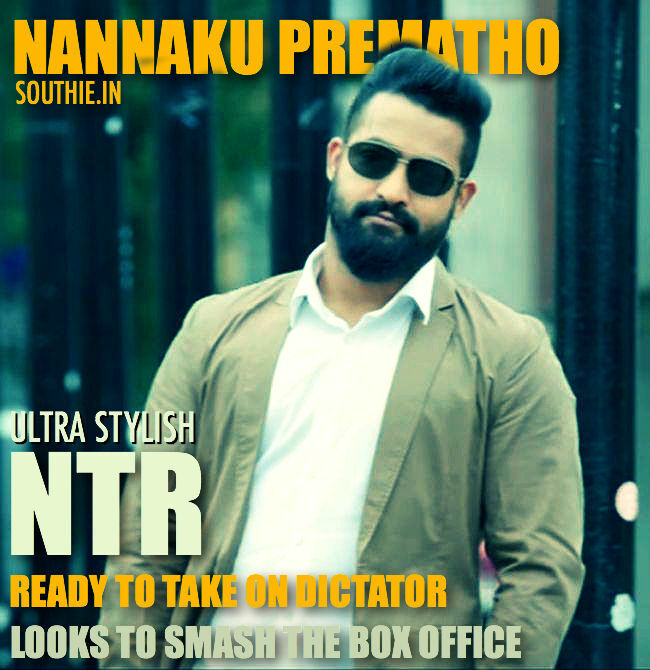 Home/NEWS/Nannaku Prematho an Ultra Stylish Movie From NTR. Nannaku Prematho an Ultra Stylish Movie From NTR. NTR takes on Balakrishna for the first time. Who will win the race at the box office. Nannaku Prematho trailer has surpassed 2 million mark in one week. NTR starrer has amassed huge buzz. The crazy combination of NTR and Sukumar has been talk of the tinsel town since its launch. Young tiger’s stylish looks with hipster hairdo and beard have blown away fans. Shooting has been wrapped up and dubbing is underway. Rakul Preet is dubbing for herself for first time. Devi Sri Prasad composed music is rocking the charts. The film is hugely anticipated and gearing up for release for Sankranthi. Balakrishna’s 99th movie Dictator to release Sankranthi 2016. Dictator Clash Makes Sankranthi Special. On the other hand, Balakrishna starrer Dictator is also slotted to hit screens for Sankranthi. The makers of Dictator have announced that the film will be released on January 14. The movie’s soundtrack scored by SS Thaman received thumping response. But the trailer hasn’t really impressed the fans and film buffs. The trailer hardly clocked half million views. Buzz is that Nannaku Prematho teaser was far better. It was instantly braced when it was unveiled for Dasara. Will this clash of of Nandamuri Heroes widen the gap between them.